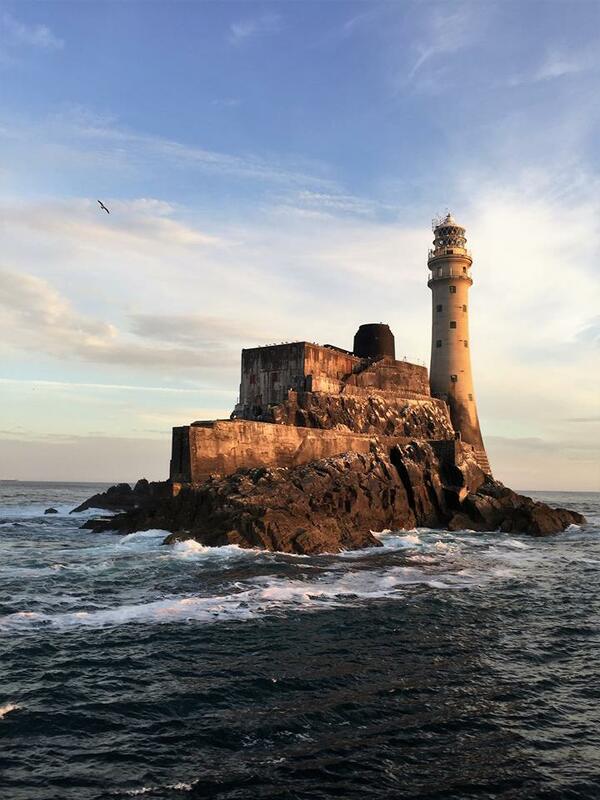 For many generations the majestic and isolated Fastnet Rock has fired the imaginations of onlookers, both locals and visitors alike. 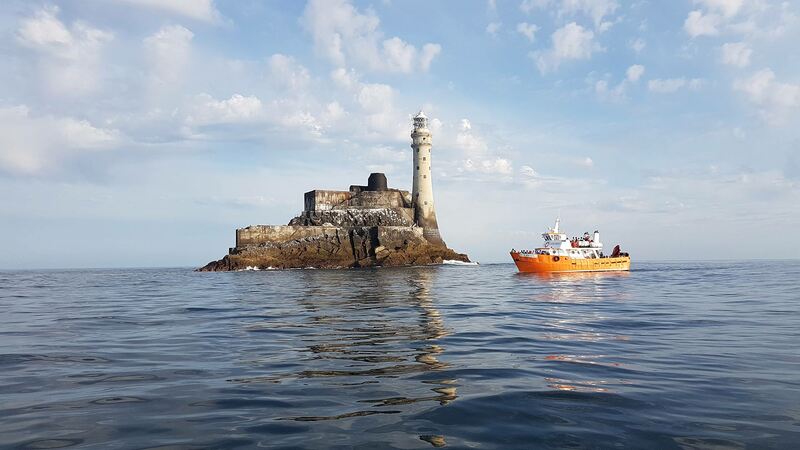 For others, the Fastnet Rock was known as Ireland’s Teardrop as it was the last Irish structure seen as their ships carried them away to America, most of them never to return again. The Fastnet Rock Tour is a day trip that will bring you first, through the spectacular waters of Roaringwater Bay spotting for whales and dolphins on the way. 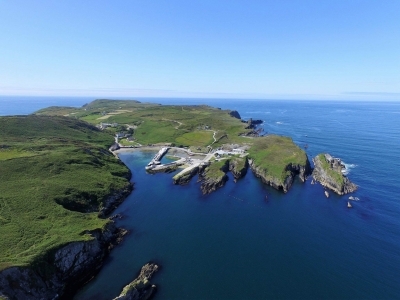 Arriving at Ireland’s most southerly Gaeltacht Island Cape Clear Island where you will have time to see the Fastnet Exhibition and multimedia display in the Cape Clear & Fastnet Rock Heritage Centre. 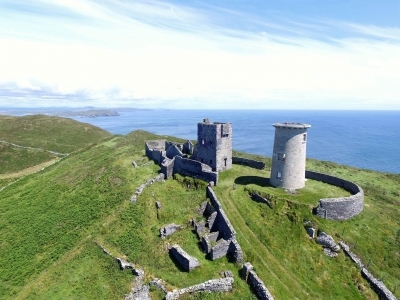 Also allowing time to see the Fastnet Rock Memorials on Cape Clear Island and to the view the Rock from the Island itself. 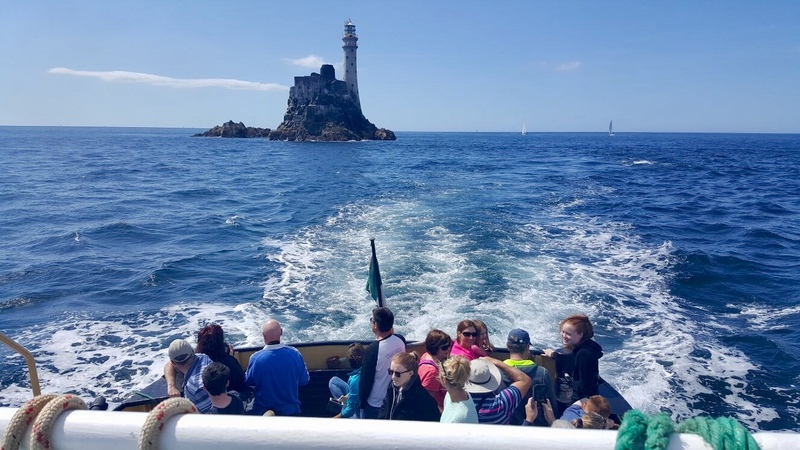 Back on board the ferry, the tour will circumnavigate the rock to view it from all sides at close quarters, perfect for that once-in-a-lifetime photo opportunity. West Cork is also renowned for its whale and dolphin sightings and your trip to the Fastnet brings you though some of the best areas for sighting these magnificent creatures. 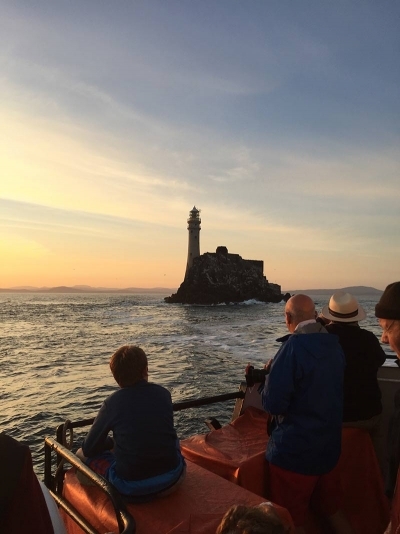 West Cork is also renowned for its whale and dolphin sightings and your trip to the Fastnet brings you through some of the best areas for sighting these magnificent creatures. The skippers will make detours to give you the best possible views when they are in the vicinity. Visit the Island Tourist Office in North Harbour for local crafts & books, head for one of the marked walking trails and lots of other attractions. Or simply sit back and enjoy the friendly local Irish banter in one of the cafes, restaurants, and pubs. Visit the Island Tourist Office in North Harbour for local crafts & books, marked trails and other attractions. Selection of cafes/restaurants & pubs available. Lovely trip to Cape and the Fastnet today. A great day out and great service.